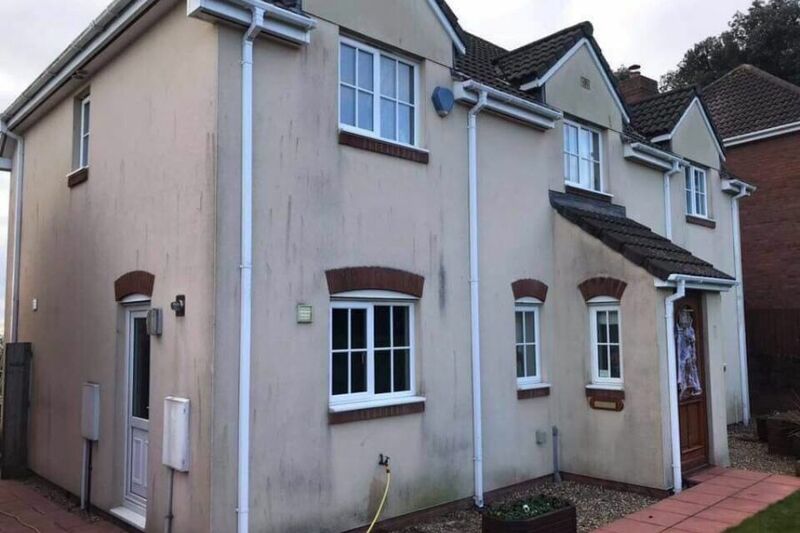 At Bishop's Exterior Cleaning we provide first-rate residential and commercial Softwashing services in Dawlish and throughout Devon. Our Softwashing team are fully trained in the use of all the equipment and cleaning solutions they use and are fully insured. Give us a call on either 01626 798 188 or 07938 377 547 to find out more about our Softwashing services. Residential Softwashing services in Dawlish and throughout Devon. Commercial Softwashing services in Dawlish and throughout Devon. 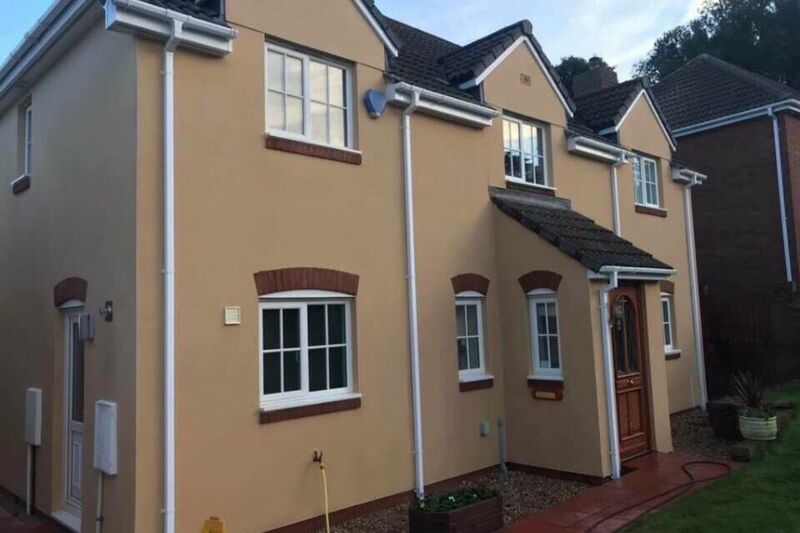 If you are after exceptional and long lasting specialist cleaning of your building render, roof, driveway, patio or other external hard surface, Softwashing could be exactly what you are looking for. The Softwashing method of cleaning is widely recognised as one of the leading solutions when it comes to cleaning buildings and outdoor surfaces. 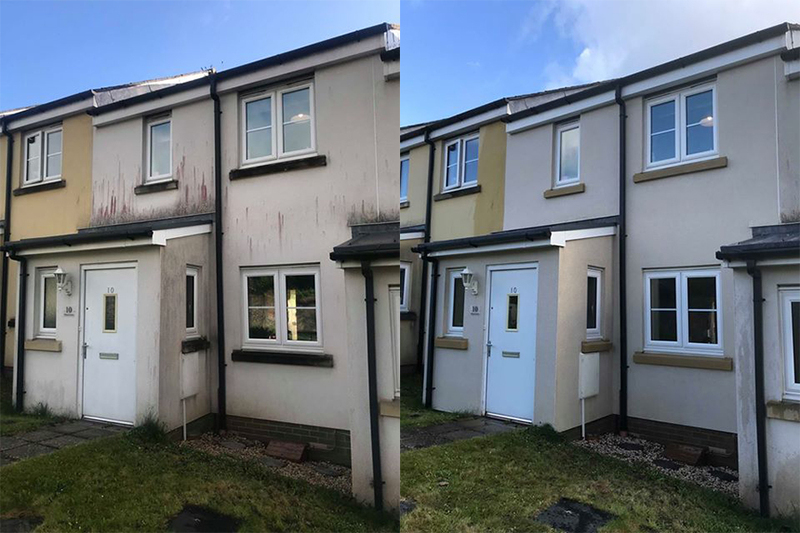 Our Softwashing team in Dawlish and Devon regularly clean buildings, roofs, driveways, patios and walls for commercial and residential customers and have been doing so for several years now, producing fantastic results time after time. Softwashing involves the use of eco-friendly cleaning chemicals and a low-pressure wash to gradually clean your exterior hard surfaces and remove any build-up of dirt, grime, algae, moss and other organic matter as well as any atmospheric pollutants. Here at Bishop's Exterior Cleaning we are experts in the field of cleaning buildings using the Softwashing method. The appearance of your residential or commercial property says a lot about you to visitors to your home and your business premises. It's very important to keep the exterior of your building not only looking clean but also free from dirt, grime, organic matter build-up and atmospheric pollutants if you want to extend the life-span of your building render and other building substrates. Our building cleaning team have many years experience within the building cleaning industry and have a huge amount of knowledge when it comes to cleaning all types of buildings including offices, apartments, houses, warehouses, shops, leisure centres and more. Our Softwashing equipment is regularly updated and kept on tip-top condition so that we can give you the very best Softwash service possible. When cleaning render we use the Softwashing technique. This ensures we are able to thoroughly clean the render on your property without causing any damage. Softwashing is a low-pressure method of cleaning and is the preferred way to cleaning building render. Using high-pressure washing will only cause damage to your building surface and will not get the job done properly. We have an extremely experienced render cleaning team here at Bishop's Exterior Cleaning who have been cleaning render on residential and commercial buildings for a long time. We are experts in the render cleaning industry and have the equipment and knowledge you would expect from a professional render cleaning company.